Lakefield Farm is conveniently located in Grafton, WI, just off I-43 and only 20 minutes from Milwaukee! 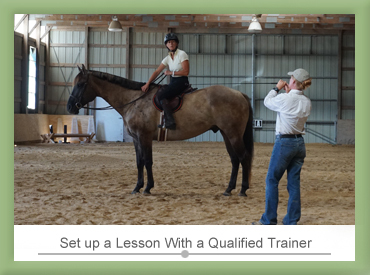 Our balanced-riding philosophy and experienced trainers provide everything you need to advance your horsemanship. Whether you ride English or Western, compete or enjoy the beauty of a trail ride, our knowledgeable trainers, private lessons, and group courses will help you and your horse reach your full potential. For more information or to schedule a tour, give us a call at 262-375-4451. Horsemanship Weeks Registration Now Open! Horsemanship Week is more than a summer camp – it’s an experience your child will treasure for a lifetime! Weeklong sessions offer up-close, hands-on time in the company of horses. Your child will learn the basics of riding, horse care, feeding and grooming. Our experienced trainers and school horses provide opportunities for children to develop confidence and learn responsibility in a fun, safe environment. Each week wraps up with a “fun show” so the kids can show off their horsemanship skills to family and friends. Day of Horseplay - Registration Now Open! Limited Openings! Thursdays throughout the summer 1:00 to 4:00 - Series of 8 - 3 hour sessions, That's 24 hours of fun! 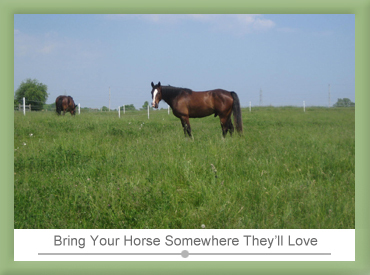 Does your child beg to spend more time at the barn and around the horses? Day of Horseplay was created with your child in mind. This educational program is great for ages ranging from 6-14. This weekly educational (no riding) horsemanship day is a an opportunity to further equine knowledge, learning respect and care for the animal. A range of topics will be covered that are meant to instill confidence and skills to handle horses in a variety of situations. 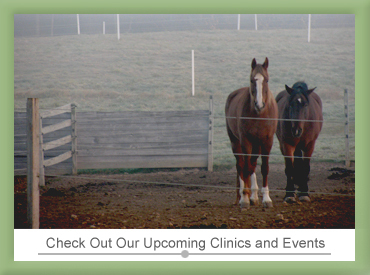 We will cover equine husbandry, breeds, colors, styles of riding and so much more. This is a great chance for participants to experience a hands on slice of life on a horse farm. Whether your child is in riding lessons or has no horse experience at all, this is a great place for youngsters to learn about all aspects of the horse while gaining self-confidence, personal growth and the concepts of responsibility to another being.